Although she did not mention anything to me about it, she was quite purposeful in choosing this very special gift. 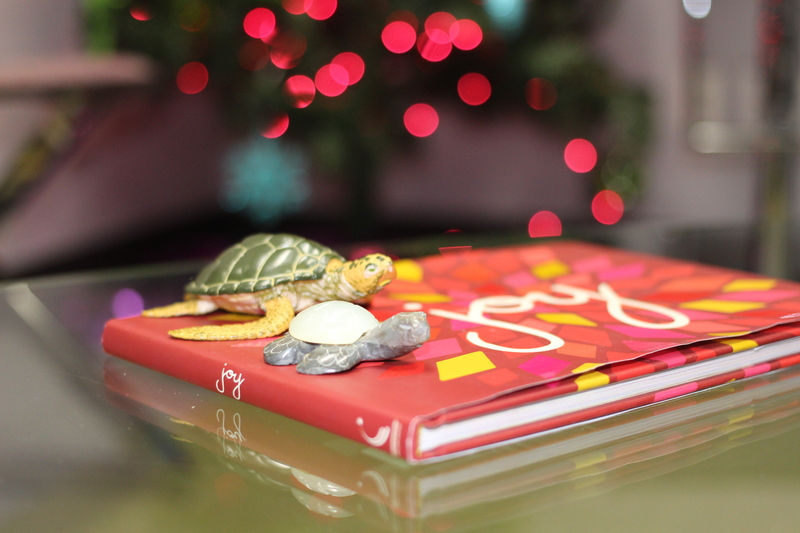 While her 10-year-old brother and I were busy gathering the decorations, she was planning the perfect final touch to my office holiday décor…two small ceramic turtles. I’m not sure how a 7-year-old girl connects turtles with Christmas, but she did and it has become a true symbol of inspiration for me this season. It was a late Monday night early in December. We had a tree to decorate and wreaths to hang. My two children acted as helper elves quietly spreading holiday joy in unexpected places…such as the bright Christmas balls spread out like Easter eggs all over the office. Regrettably, I spent most of my time undoing the disorderly way they had arranged the tinsel. I was so busy I didn’t even notice the two small turtles on the coffee table until the next morning. Sadly, I was more focused on being productive than being present. It seems the whole world turns into a giant rabbit chase this time of year. We wrap up year-end obligations, plan and attend holiday parties and navigate the overwhelming commercialism of the season. What might it look like to slow down when the world is spinning? How could we learn to be both present and productive? These two small turtles have become a “slowing down” trigger for me these last few weeks. When I see them each day I practice slowing my speech, my pace, and my breath. Two tiny turtles are now a daily signal to slow down and shift inside toward an experience of serenity. With simplistic awareness, these daily activities are suddenly transformed into a spiritual practice. Symbols can be powerful reminders to add meaning, joy, gratitude, spirituality and compassion to our lives. Sometimes the connections are already there, but not by choice. We are often caught off guard by reminders of painful experiences. A helpful exercise I use in my work with survivors of trauma and loss is to identify and name negative sensory triggers. Sounds, smells, sights, and images can bring back a painful memory in an instant. Sometimes the holiday season is challenging for this very reason. Or sometimes it is the happy memories that hurt as we are reminded of those no longer with us. 1. Identify an activity you do regularly OR an object/symbol you see or use regularly. 2. Consider how this activity affects your day or the lives of others. What connections can you draw between the activity, object or symbol and gratitude or spirituality? How does the activity, object or symbol have implicit meaning that can remind you to be present, kind, grateful or connect to your own personal values? 3. Write down some possible meanings you could connect to the activity or symbol. If you are stuck…ask a friend for help. I wonder what competition you might use to invite yourself to be more present with yourself and those you love this season. How might you more fully enjoy the moment-to-moment gifts that really matter in the next year? Surprisingly, I’ve been invited by two small turtles to mindfully slow down in the coming year. Whatever your situation, may you discover gift in the simplest of things. May symbols of joy, peace and gratitude carry you into the next year with hope, comfort and love. Amy, I need to practice being more mindful of my words and actions. I will Invision the turtles and slow my actions and my words. I will try and allow my shower to cleanse me inside and out. 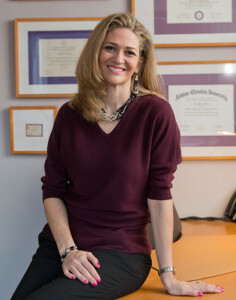 Thank you for this wonderful article as we start a new year. Thank you Tanja! Blessings on your efforts toward more mindfulness this year. How is it going?